Samsung is one of the most popular manufacturers on the market. The South Korean brand is also one one of best selling worldwide. That’s why it’s no wonder they have several accessories up its sleeve, making the user experience much more enjoyable, especially on high-end devices like the Galaxy S8. Let’s take a look at a few of them. Although the Gear Sport isn’t exclusively for Samsung devices and can be used both with Android and iOS, we’ve decided to include it in our list because it’s one of the best wearables from Samsung. It is meant to be used for exercise, especially swimming, since it can be submerged in up to 50 meters of water. To stay on the topic of fitness, the Gear IconX is a great way to complement the Gear Sport. This pair of wireless headphones are almost self-sufficient, because in addition to being able to monitor your heart rate and exercise routine, they have internal memory that lets you store music without carrying your smartphone with you. In an electronic world in which mobile phone batteries always require your attention, this wireless fast charger is all you need to forget about your phone battery’s battery. Position the charger horizontally or vertically and don’t worry any more. You won’t have to stop working or using your smartphone while it’s charging. Just like how there are toys for people who like virtual reality, Samsung is also thinking of those users who enjoy photography and video. 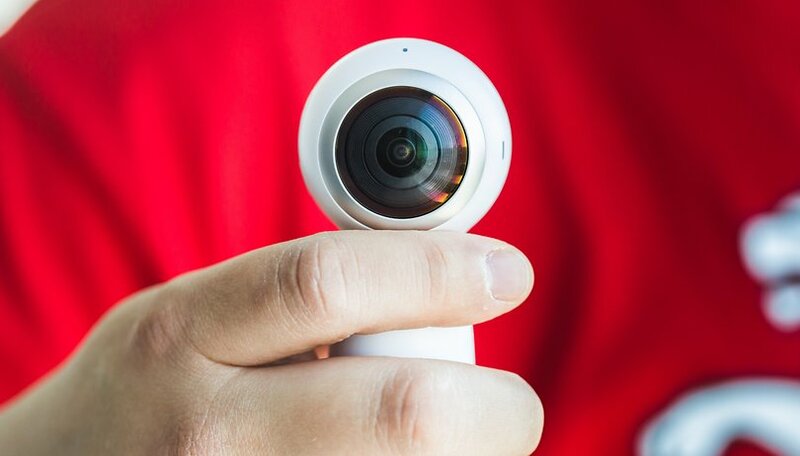 Thanks to its two wide-angle lenses, the Gear 360 is a 360-degree camera that allows you to take photos and record video in 4K, and it also lets you stream audiovisual content via YouTube or Facebook. If you’re a video game and virtual reality enthusiast, the Gear VR is the ideal accessory for you. Since its launch in 2015, there’s been a lot of talk about the Gear VR. And while virtual reality technology and augmented reality technology are much more than we can imagine, this device does the job well. The latest version comes with a remote control, which makes the experience even better. Do you have any of these accessories yet? How has your experience been with them? Let us know in the comments!